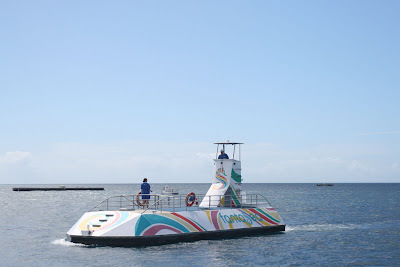 A Slice of Life: We went snorkeling at the Great Barrier Reef !! We went snorkeling at the Great Barrier Reef !! Oh yeah.. you read it right at the THE GREAT BARRIER REEF here in Australia ! I could not believe I'll be there to see that wonderful place and thanks to my sis and bro inlaw for bringing me there. FYI, it is the world's largest coral reef system and it has been sited as one of the World's Heritage Site. mooth sail I tell yah.. The waves are about 2 meters high and our boat were like rocking but it was one great adventure. 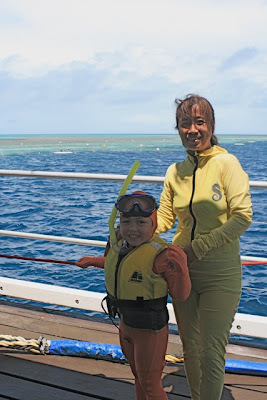 With my nephew Braiden wearing our stingers suits before we dive. Mind you I got really scared diving in that deep water but once there the view below is amazing. 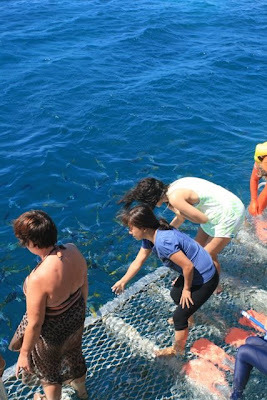 You could see fishes swimming around you and the corals are just awesome. Look at the fishes just swimming near my feet.